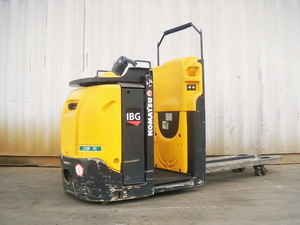 4157000 MWE20D KOMATSU MWE20D Pallet Truck Electric. Spare parts catalog. Service Manual. 4157001 MWE23D KOMATSU MWE23D Pallet Truck Electric. Spare parts catalog. Service Manual. 4157002 MWE31 KOMATSU MWE31 Pallet Truck Electric. Spare parts catalog. Service Manual. 4157003 MWE36 KOMATSU MWE36 Pallet Truck Electric. Spare parts catalog. Service Manual. 4157004 MWL12 KOMATSU MWL12 Pallet Truck Electric. Spare parts catalog. Service Manual. 4157005 MWL16 KOMATSU MWL16 Pallet Truck Electric. Spare parts catalog. Service Manual. 4157006 MWL18 KOMATSU MWL18 Pallet Truck Electric. Spare parts catalog. Service Manual. 4157007 MWL20 KOMATSU MWL20 Pallet Truck Electric. Spare parts catalog. Service Manual. 4157008 MWL22-1A KOMATSU MWL22-1A Pallet Truck Electric. Spare parts catalog. Service Manual. 4157009 MWL22-2A KOMATSU MWL22-2A Pallet Truck Electric. Spare parts catalog. Service Manual. 4157010 MWL25 KOMATSU MWL25 Pallet Truck Electric. Spare parts catalog. Service Manual. 4157011 MWL31 KOMATSU MWL31 Pallet Truck Electric. Spare parts catalog. Service Manual. 4157012 MWL36 KOMATSU MWL36 Pallet Truck Electric. Spare parts catalog. Service Manual. 4157013 MWP14-1R KOMATSU MWP14-1R Pallet Truck Electric. Spare parts catalog. Service Manual. 4157014 MWP16-1R KOMATSU MWP16-1R Pallet Truck Electric. Spare parts catalog. Service Manual. 4157015 MWP18-1R KOMATSU MWP18-1R Pallet Truck Electric. Spare parts catalog. Service Manual. 4157016 MWP20 KOMATSU MWP20 Pallet Truck Electric. Spare parts catalog. Service Manual. 4157017 MWP20-1R KOMATSU MWP20-1R Pallet Truck Electric. Spare parts catalog. Service Manual. 4157018 MWP20F-1R KOMATSU MWP20F-1R Pallet Truck Electric. Spare parts catalog. Service Manual. 4157019 MWP22-1R KOMATSU MWP22-1R Pallet Truck Electric. Spare parts catalog. Service Manual. 4157020 MWP30 KOMATSU MWP30 Pallet Truck Electric. Spare parts catalog. Service Manual. 4157021 MWP30-1R KOMATSU MWP30-1R Pallet Truck Electric. Spare parts catalog. Service Manual. 4157022 MWP30F-1R KOMATSU MWP30F-1R Pallet Truck Electric. Spare parts catalog. Service Manual. 4157023 MWQ20-2R KOMATSU MWQ20-2R Pallet Truck Electric. Spare parts catalog. Service Manual. 4157024 MWQ20S-2R KOMATSU MWQ20S-2R Pallet Truck Electric. Spare parts catalog. Service Manual. 4157025 MWS10-1R KOMATSU MWS10-1R Pallet Truck Electric. Spare parts catalog. Service Manual. 4157026 MWS12-1R KOMATSU MWS12-1R Pallet Truck Electric. Spare parts catalog. Service Manual. 4157027 MWS14 KOMATSU MWS14 Pallet Truck Electric. Spare parts catalog. Service Manual. 4157028 MWS14-1R KOMATSU MWS14-1R Pallet Truck Electric. Spare parts catalog. Service Manual. 4157029 MWS14F-1R KOMATSU MWS14F-1R Pallet Truck Electric. Spare parts catalog. Service Manual. 4157030 MWS14FA-1R KOMATSU MWS14FA-1R Pallet Truck Electric. Spare parts catalog. Service Manual. 4157031 MWS14W-1R KOMATSU MWS14W-1R Pallet Truck Electric. Spare parts catalog. Service Manual. 4157032 MWS20 KOMATSU MWS20 Pallet Truck Electric. Spare parts catalog. Service Manual. 4157033 MWS20-1R KOMATSU MWS20-1R Pallet Truck Electric. Spare parts catalog. Service Manual. 4157034 MWS20F-1R KOMATSU MWS20F-1R Pallet Truck Electric. Spare parts catalog. Service Manual. 4157035 MWS20FA-1R KOMATSU MWS20FA-1R Pallet Truck Electric. Spare parts catalog. Service Manual. 4157036 MWS20W-1R KOMATSU MWS20W-1R Pallet Truck Electric. Spare parts catalog. Service Manual.